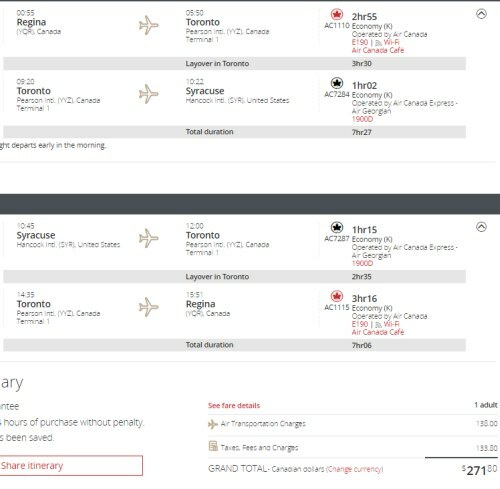 Air Canada has dropped the price of their flights from Regina to Syracuse, New York down to $272 CAD roundtrip including taxes. This is 52% below the typical best roundtrip prices from Regina to Syracuse. You can also use these as a way to get a cheaper one-way flight to Toronto (saves about $50). 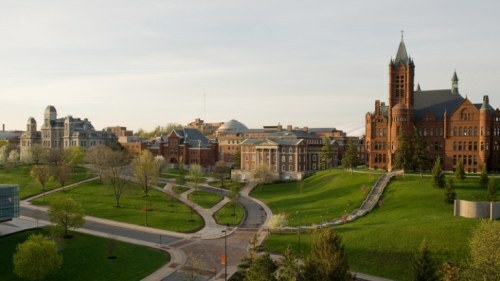 Just book a one-way flight to Syracuse, and depart the airport when you get to the connection point in Toronto. Only do this if you fly with carry-on (not checked luggage). regina, yqr, united states, flight deals, air canada, new york, north america, syracuse and syr.